My daughter hesitates as she debates whether or not she is going to touch Chiole, one of nearly 300 penguins that call SeaWorld San Diego their home. Curiosity and intrigue compel my daughter to touch Chiole’s soft feathers. And while she is not old enough to grasp how incredibly rare it is for anyone to touch a penguin, I know that the experience is etched in her memories. Her final classroom journal detailed the interaction, including Chiole’s soft feathers and inquisitive personality. My father was passionate about animals, and much of my knowledge of sharks and dinosaurs arose from our time spent watching The Discovery Channel. On school breaks and holidays, we would drive to San Diego for close encounters with the aquatic kind. Those hands-on experiences were lasting, and as I watched my kids spend the day blowing kisses at the dolphins and feeding squid to the sea lions, I realize that so much of what we learn can’t be found on the pages of school textbooks. Last week, we experienced SeaWorld from a unique perspective. The park, which is home to nearly 13,000 animals, is more than just a place for families to see cheetahs, polar bears, dolphins, and more. 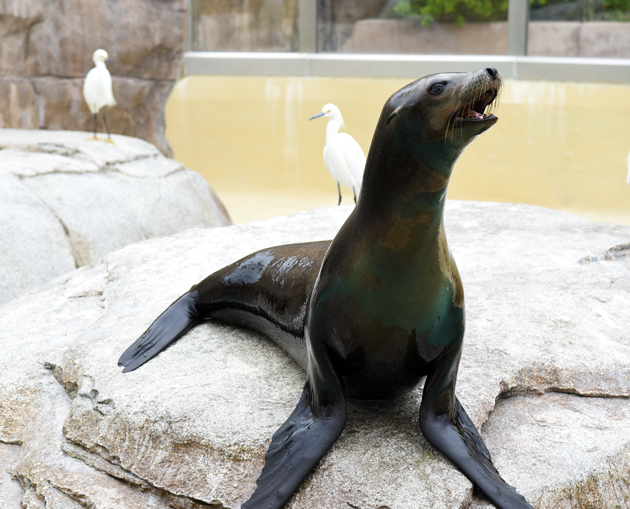 SeaWorld San Diego has rescued more than 17,000 animals over the span of 50 years and is committed to world-class standards of care, state-of-the-art animal habitats and serves as a global leader in the zoological community. Their hope is to inspire families to care for and protect these animals. 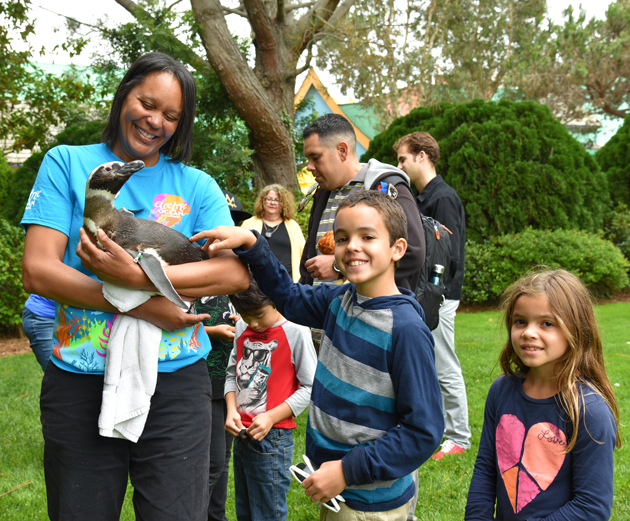 Summer at SeaWorld San Diego is filled with several brand new opportunities for families to connect. 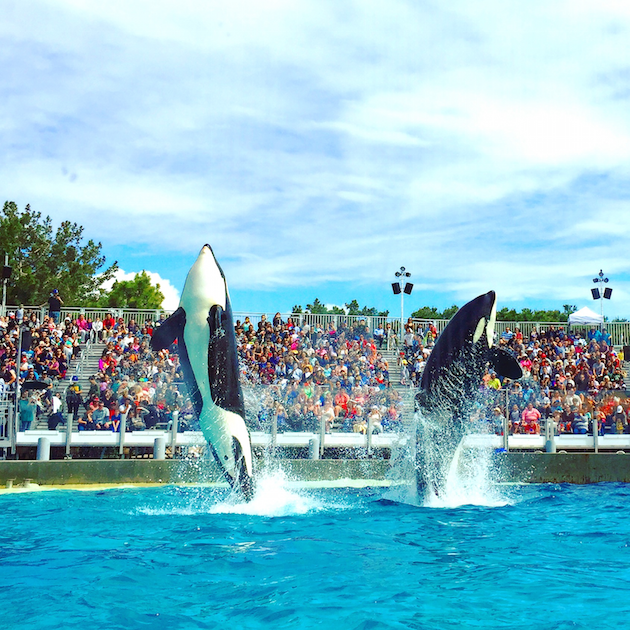 In addition to the 3 Things You Must See at SeaWorld San Diego this Summer, the park offers behind-the-scenes tours, up-close encounters, and an Orca dining experience you don’t want to miss. 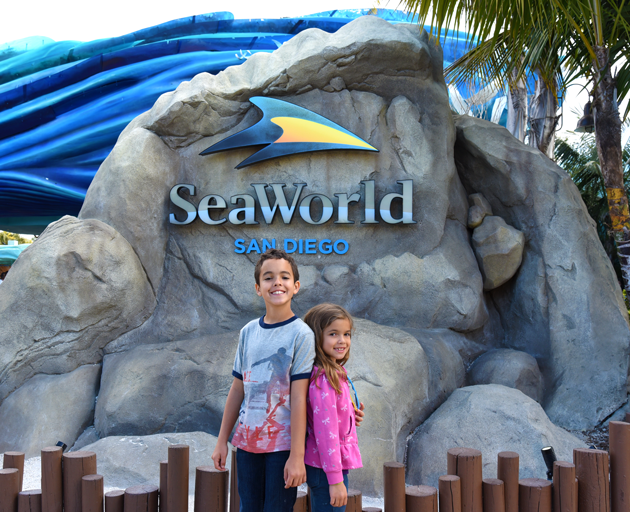 As you prepare for your visit to the park this summer, here are 7 VIP Experiences at SeaWorld San Diego. 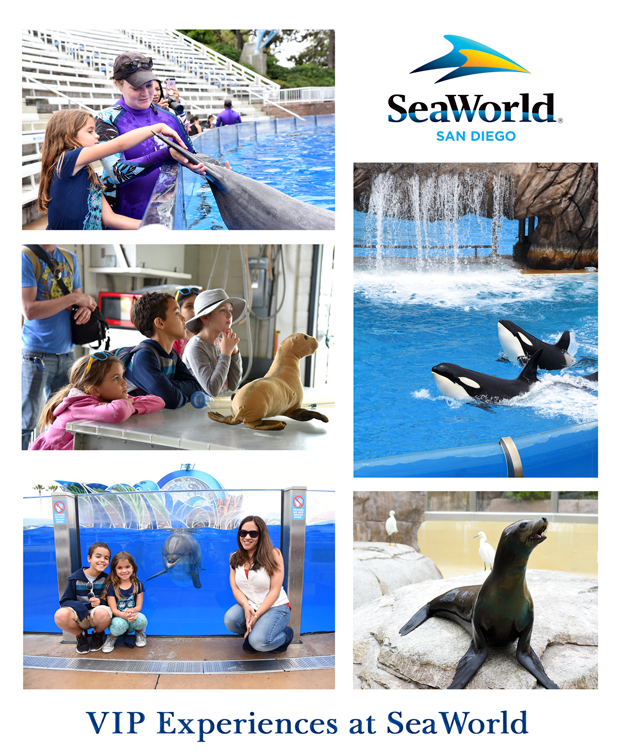 Add one or more to your itinerary to experience SeaWorld San Diego from a new lens. Dine With Orcas: I personally find the park’s killer whales to be the most impressive animals in the park. Their intelligence and skill, combined with their impressive size and power, always leave me in sheer awe of these magnificent animals. Orca Encounter is a brand new experience now open at SeaWorld San Diego, which offers a glimpse at the natural behaviors of killer whales. 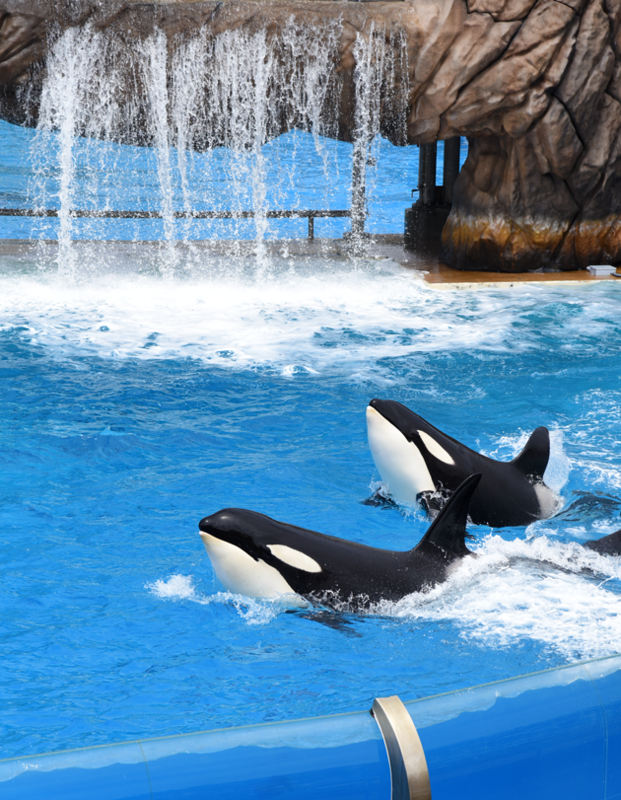 However, If you are looking for a more intimate experience, Dine With Orcas includes up-close encounters as SeaWorld’s behaviorists provide a closer look at the unique characteristics of these animals. This private, poolside dining experience also features a buffet which includes sustainable seafood, and organic, seasonal, locally-sourced menu items such as salads, pastas, meats and more. Dine With Orcas is an hour-long experience and can be reserved for breakfast or lunch. 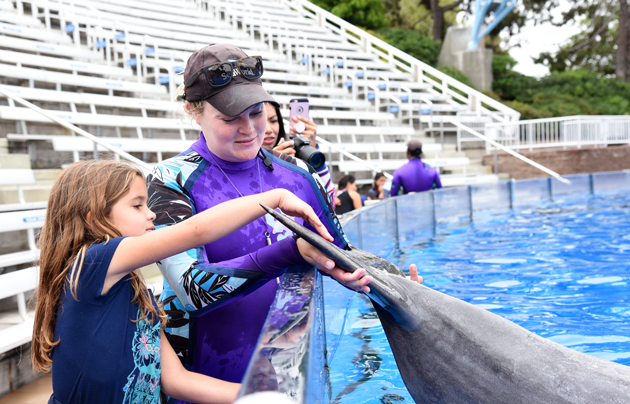 Dolphin Encounter: One of my kids’ most memorable experiences at SeaWorld was their time meeting, feeding, and learning how to communicate with the bottlenose dolphins at the park. During our first experience, both of my kids were hesitant but curious enough to engage with the dolphins. We learned how they are rescued, what they eat, and how simple commands are used to showcase their skill and intelligence. The experience is approximately 15 minutes and guests must be at least 48 inches tall. Dolphin Interaction Program: Have you ever dreamed of swimming with dolphins? SeaWorld offers a unique opportunity to learn how to communicate with their resident dolphins and then interact with them in their environment. This experience, designed for guests 10 years and older and taller than 48 inches, includes an opportunity to meet, touch and feed the dolphins. Sea Lions Up Close Tour: If you have ever wondered how the animals at SeaWorld are cared for, I highly recommend booking a behind-the-scenes tour at the Animal Center. Learn how sea lions and seals are rescued, why they need to be rescued and how you can help. Then head into the park for an up-close interaction which may include feeding them. 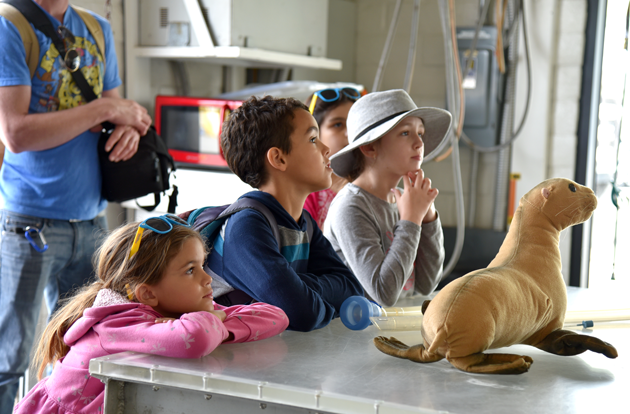 This guided tour lasts 1 hour and includes a visit to the Animal Care Center behind-the-scenes at SeaWorld. Guests must be 6 years of age or older to participate. Penguins Up Close Tour: Meeting Chiole was one of those unique, bucket-list experiences everyone must do at least once. 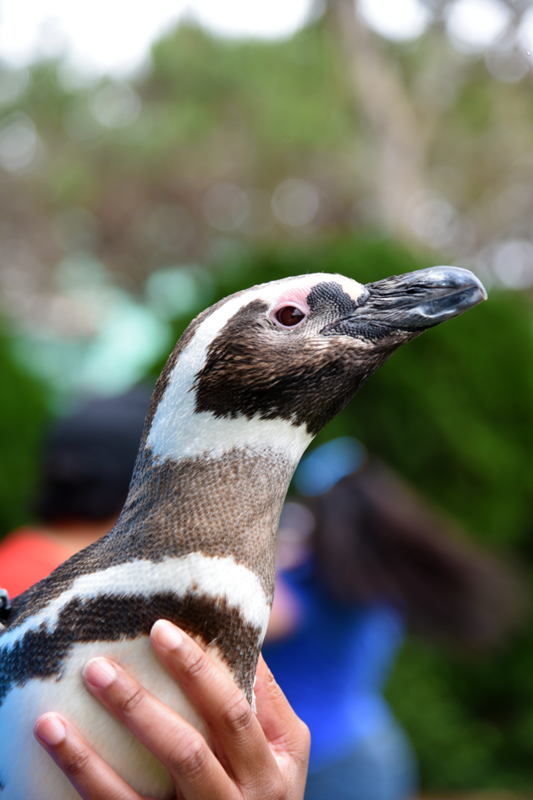 We learned how SeaWorld cares for their penguins, some information about the varied types of penguins, and how they adapt and face challenges in the wild. The tour is available to guests 6 years of age and older. 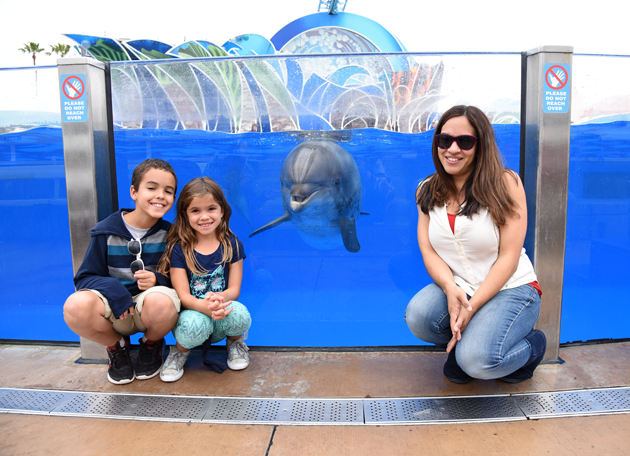 Behind the Scenes Tour: SeaWorld offers families an opportunity to see some of the rarest and most beautiful animals in the world. But behind-the-scenes, they are working towards a greater purpose of ensuring that the animals they rescue are rehabilitated back into the wild. 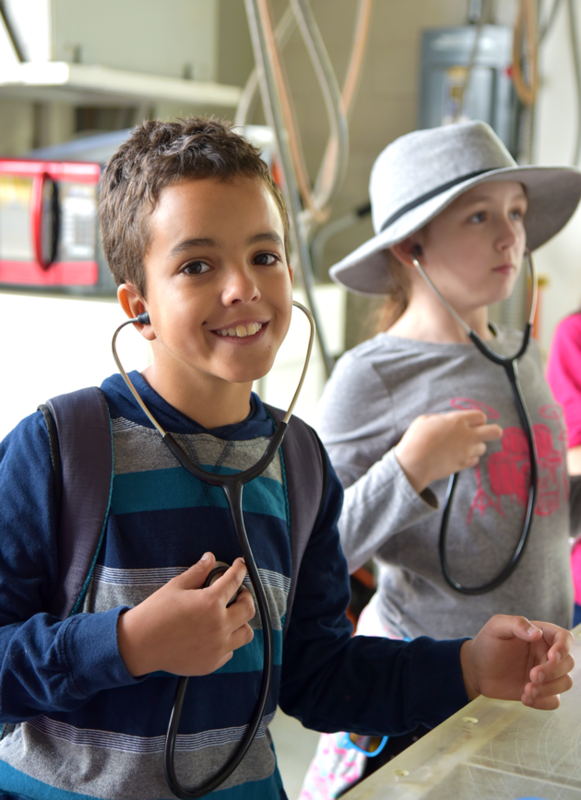 During this one-hour tour, you will visit SeaWorld’s Animal Care Center to learn how SeaWorld cares for orphaned, ill and injured animals by on-site veterinarians at the “hospital.” You will also visit the Aquarium Lab to view archerfish and interact with jellies and cleaner shrimp. This tour is available to guests 6 years of age and older. Beluga Interaction Program: Prior to visiting SeaWorld, I had never heard of a Beluga whale. This is a testament to the diverse number of species they have at their park and how their rescue and rehabilitation efforts have been largely successful. Nicknamed “the canary of the sea,” this experience includes an intimate interaction which includes touching and feeding these whales. 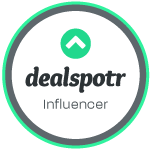 It should be noted that this is a rare opportunity that is limited to just a few guests per day. 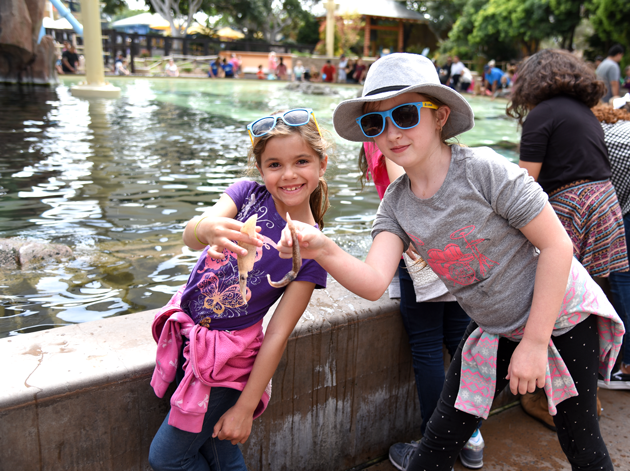 Summer at SeaWorld San Diego offers families a variety of ways to learn about marine life. As a parent, I appreciate their hands-on approach, which provides meaningful experiences for children. For additional information on how to add a special touch to your visit with SeaWorld’s VIP Experiences, visit SeaWorld.com/San-Diego. 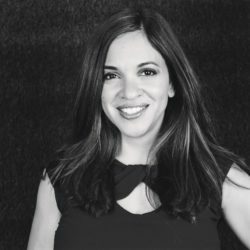 You can also connect via Facebook, Twitter, and Instagram.